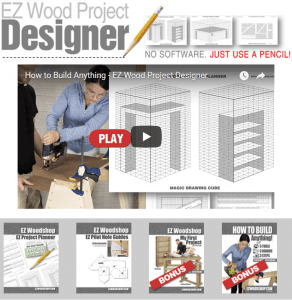 The blade of your miter is arguably the most important part of the tool. 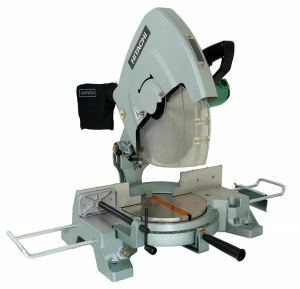 Without the blade, you would not be able to cut with your miter saw at all! Occasionally there comes a time when you need to change a miter saw blade. 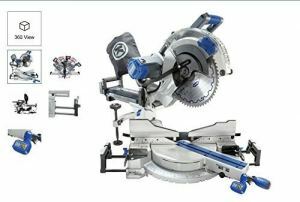 Maybe the blade has become faulty, or perhaps you just want to use a different blade on the saw for a separate project. Whatever the case, you’ll find that it’s not a difficult task and you can accomplish it without any expert attention. How can you tell when it’s time to change a faulty blade? If you discover excess burn marks and chipping on your material, it is an indication that your miter saw blade should be changed. 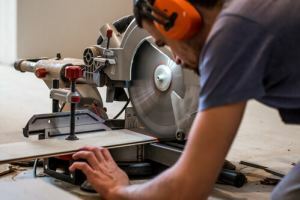 You can inspect the blade for yourself and usually confirm this suspicion when you seen warped or bent teeth on the saw blade, or else missing or chipped pieces along the blade. The first thing you have to do before you will be able to change your miter saw blade is to remove the blade guard. However, before you mess with the blade guard you need to remove the power source from the saw. This means that you either unplug it from the socket or remove the battery from the device. The blade guards are normally held in place with a screw. You should be able to simply unscrew it in order to remove the blade guard fully. Once the blade guard is removed, the next thing you should do is to secure the blade. 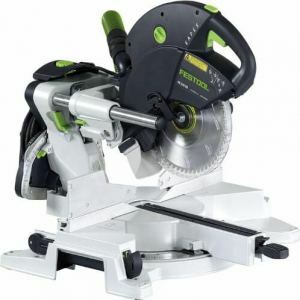 A miter saw features a spindle lock which is located either at the back or in front of the housing of the miter saw. It is generally black in color. Locate this feature and press on it in order to lock the blade. Be sure that the spindle lock is secure. If you lock it properly, the lock will press down. Now it’s time to remove the blade. The blade is connected to the saw with a bolt which you have to loosen. You will need an Allen wrench in order to be able to turn the blade clockwise to loosen it. With your finger, you will be able to remove the outer washer of the blade. Don’t touch the inner washer of the blade. Take the blade out of the saw carefully and try to avoid touching the teeth. If you feel more comfortable, put on a pair of work gloves before you touch the blade. The final stage is the changing of the blade. 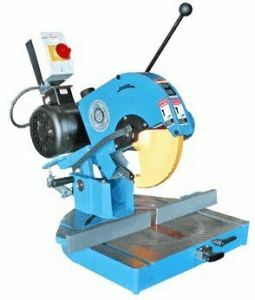 As mentioned above, you need to consult the user manual to ensure that you are using the right manufacturer’s suggested replacement blade and that you are following the right steps for your specific miter saw. The inner and outer washers of the blade may be drained with oil which lubricates the saw. Wipe the oil before reinstalling the blade. Slip the blade onto the notch over the inner washer. It is important that you install the blade well because working with a blade that is not properly installed can result in serious injury, as it can malfunction. Put back the outer washer. Use your finger to tighten it back. Use the Allen wrench to tighten the bolt, moving in an anticlockwise direction. Tighten the bolt very well to keep the blade in place. However, try not to over tighten the bolts. They should be securely fastened without being too tight. Put back the blade guard on your miter saw using a screwdriver to tighten it.